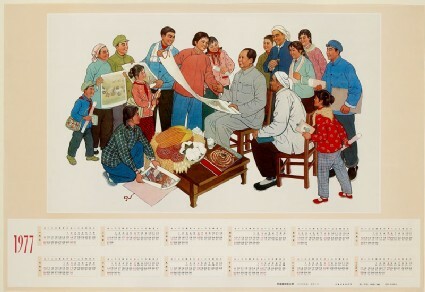 This calendar for 1977 depicts Mao at Huxian, the location of an artists’ commune in Shaanxi renowned for its production of peasant paintings with upbeat politically correct subject matter. 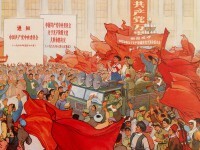 The Huxian People’s Commune was renowned for the peasant paintings produced there during the Cultural Revolution. 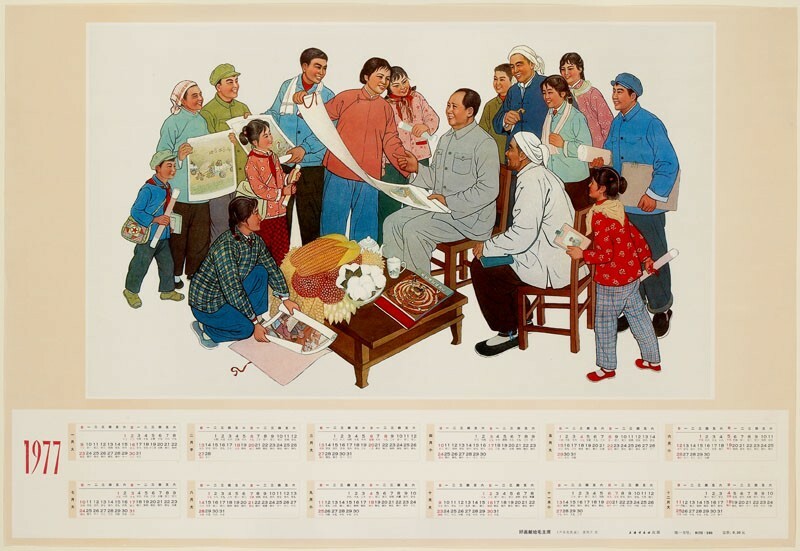 With professional assistance from artists who had been sent down to the countryside the peasants learnt to make highly-coloured folk images appropriately devoid of western influence or bourgeois traits. These were hailed as new populist art created by and for the people.